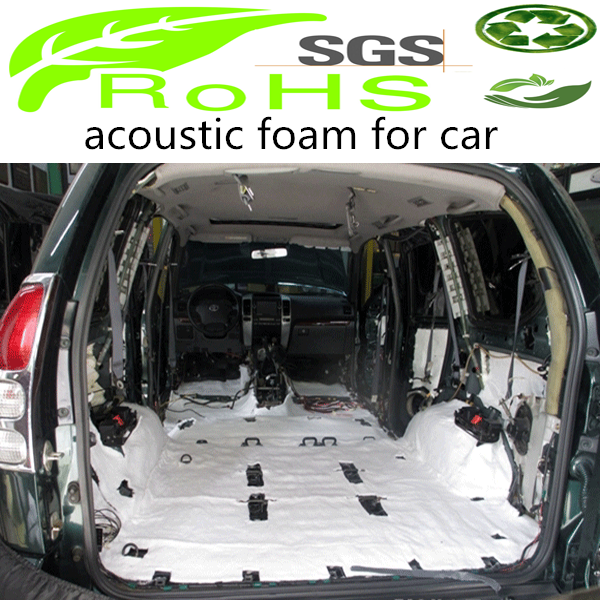 Insulation car soundproofing cotton is a new kind of high-tech product independently developed by ourselves.It can be cut in many shapes for car. Soundproof felt has good resistance effect on low and high frequency sound,which can effectively restrain the transmission of all kinds of vibrations. Insulation car soundproofing cotton is a new kind of high-tech product independently developed by ourselves.It can be cut in many shapes for car. Soundproof felt has good resistance effect on low and high frequency sound,which can effectively restrain the transmission of all kinds of vibrations. It not only has perfect performance in aging-resistant and corrosion-resistant aspects but also environment-friendly and tasteless. The materials can be cut out optionally and be used conveniently.